GoLite ReBound Hoody. The ReBound Hoody was created in collaboration with the Da.Ai Foundation recycling volunteers who gathered the bottles used to create the amazing ReFlex knit performance fabric. 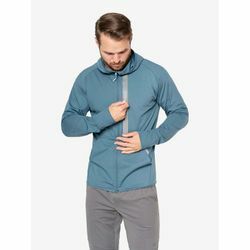 This must-have hoody also offers UPF protection, moisture-wicking comfort, incredible stretch, but best of all, prevented 20 plastic bottles from ending up in the landfill. Re � Made from recycled plastic bottle fiber. Da.Ai � Created in collaboration with Da.Ai and many recycling volunteers who gathered the bottles out of the landfill and ocean. Flex � Offers excellent range of motion and shape retention for high activity comfort. Gdry � Extremely efficient moisture-transferring finish that helps you stay dry and comfortable. SunScreen 30+ � Provides 30+ UPF protection from the sun�s harmful rays. Reflective Safety � Added visibility for enhanced safety when active.